If your fan is turning on but the oven is not heating, then a faulty oven element can be the reason. A fan oven element is what heats the oven. If it is faulty, the oven will not heat up and you will not be able to cook food. 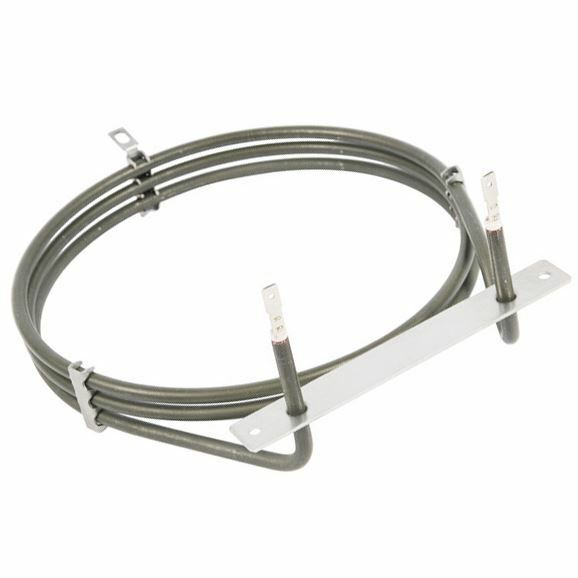 The Electrolux fan oven element is the perfect replacement for a worn-out element. 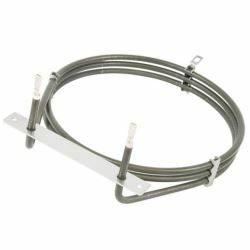 This 2500 watts element is compatible with select Electra, AEG, Electrolux, Parkinson Cowan, Moffat, Zanussi and Tricity Bendix ovens. If your oven is not creating the desired heat or you’re always left with a cold oven, failure of the fan oven element can be a possible reason. If that is the situation, replace it with the Electrolux Fan Oven Element to fix the fault. Once again Ransom came up with the spares I needed delivered in good time at a good price (price not increased since the last time I had to replace the element). The element arrived quickly and looked exactly the same as the original element on my Zanussi zce7702. Replacing the original part was really straightforward -within minutes I had a working oven again. One little tip from me - when removing the original element wrap a little bit of electrical tape around the wire before you disconnect the it - this prevents it falling through the hole into the back of the oven. You can remove the tape once the new element is connected. Delivered quickly, fitted easily. Great service. Would definitely recommend. Heating element on the cooker failed on Boxing Day (oh, it could have been a lot worse!). RansomSpares video was perfect showing us how easy it was to fix. It was easy to order a generic spare (I was going to order a manufacturer part but the lead time was longer....fortunately the much cheaper generic part was in stock and appears to be totally fine). The part arrived promptly and was a piece of cake to fix. Cooker back in action good as new. Cheap price, simple to fit. Hope it lasts a long time. Great, easy to fit product. No hassle and oven working a great again! No more power trips either! I ordered a new element for my fan assisted oven. The part came quickly and was fitted easily. The price was very competitive. Hi, Good afternoon. My oven (Moffat MSF 610W) stopped working. The fan comes on, however the oven does not heat up. I suspect it is the Element that is faulty. Please advise, what part number I would require. Serial number of my appliance is 54628137. Regards. Danny. Hi Danny, although we cannot be 100% certain that replacing the element will fix your oven, it is the most likely component that causes the fault you describe. Take a look at our video on how to replace an oven element for more information. The part number you require is RS82802.